Bargain hunters take note – there’s a sleek new breed of charity shop in town! Greyhound Rescue Wales is turning heads on a Cardiff high street with a series of breathtaking shop window displays, creatively crafted from upcycled goods. Greyhound Rescue Wales’ shop in Albany Road, Roath, is transforming the way charity shops are perceived in the city, with passers-by singing its praises. 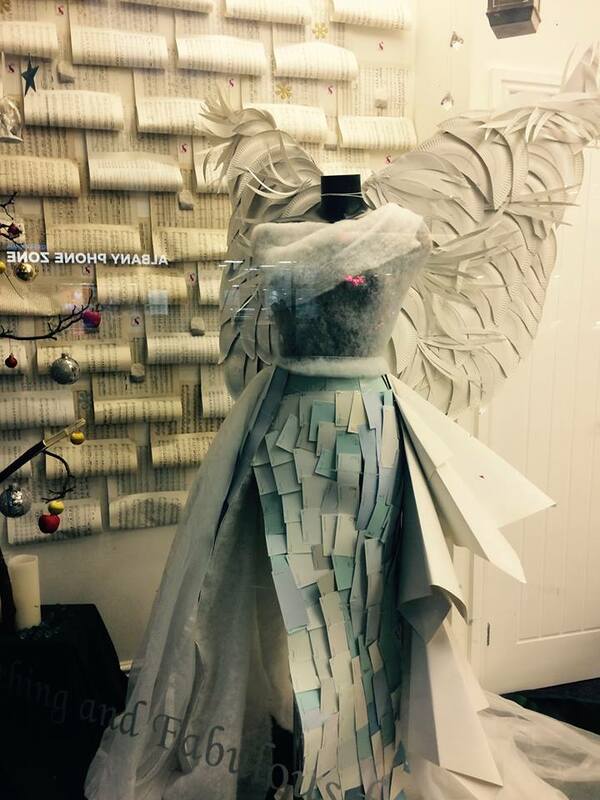 The eye-catching displays have included dresses made of hand-dyed coffee filters, outfits made wholly from unwanted ties and a stunning Christmas angel with wings created from paper plates. The upcycling utopia was even listed in the UK’s top 20 charity shop displays 2017 by prestigious blog Charity Shop VM, alongside leading organisations including The Children’s Society and Oxfam! The artwork is the brainchild of Greyhound Rescue Wales’ head of retail Judy Badcock, shop manager Janine Graves and deputy manager Polly Thomas-Colquhoun, as well as former manager Natasha Owen. Also providing flair is an invaluable team of volunteers, including talented teenager Shannon Price, who won the ACT Apprenticeship Awards ‘Learner of the Year’ for Animal Care in 2017 and chose to undertake her placement with GRW. The Albany Road shop opened in March 2016 following the success of the charity’s flagship branch in Blackwood. Judy said: “Cardiff proved a little different to the setting-up of the previous shop, as we went in to bare brick walls! This was a challenge but, on the plus side, I was able to design the interior to suit our needs. “Due to the high number of other charity shops in Cardiff, I had to ensure that we stood out. We were able to create an upmarket, immaculately clean charity shop, with great customer service. 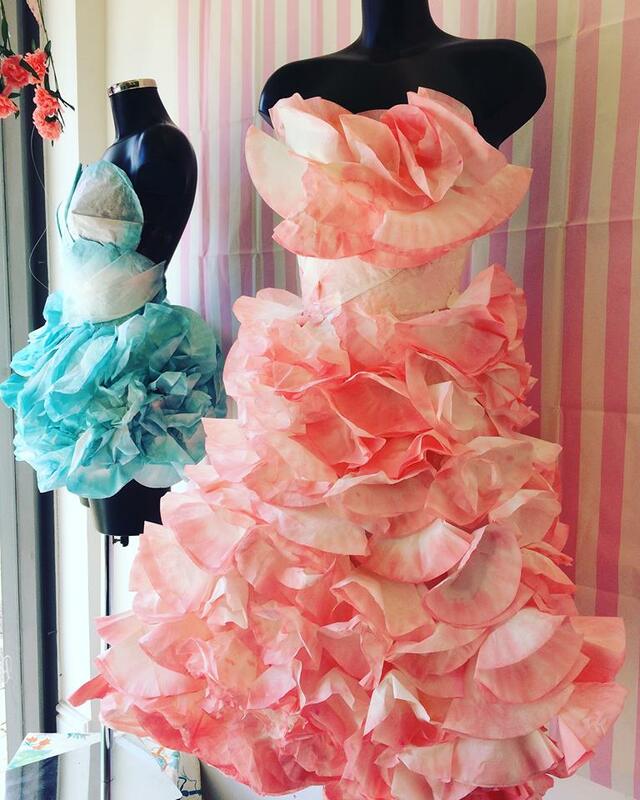 Our former manager Natasha was able to utilise her creative skills to ensure that our window displays were the best!